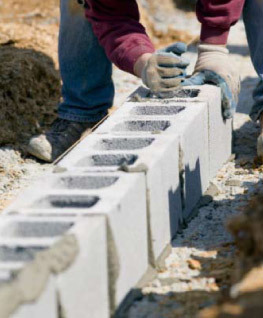 Block Fill is used to fill the core of concrete blocks. Filling the core improves structural strength and also provides additional thermal and acoustical insulation. However, these pours can be tricky. 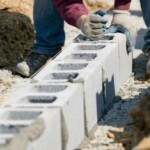 The rate of pour on Block Fill jobs can vary greatly, and jobs often go slowly. This can cause problems with concrete, particularly in hot weather. This makes the Volumetric Mixer the perfect solution. Since the Volumetric Mixer is set up on the job site and makes concrete only as it is needed, there is never any concern about drying or having to add water. Also, we make concrete at your pace, as fast or slow as needed. Custom-Crete can create concrete that exactly matches your performance specifications. The mix can also be customized to include specialty admixtures or recycled materials to earn LEED points.